On Saturday, the Argonauts will take on the Saskatchewan Roughriders in the team's final home opener at the Rogers Centre. TORONTO – As the Argonauts usher in their final season at Rogers Centre, many fans of the Double Blue are probably thinking “good riddance” and can’t wait for the team’s move to BMO Field in 2016. While no one is suggesting that a move to a more intimate BMO Field isn’t a positive change, it’s important to reflect and remember that the Argos’ days at the Rogers Centre, formerly known as SkyDome, have had many highlights which have helped create long-lasting memories. Firstly, for those of us old enough to remember, let’s never forget where we came from. Exhibition Stadium was a dump. Urinal troughs and miniscule concession stands were the hallmark of the often referred to “mistake by the lake.” When the Argos played their final game at Exhibition Stadium in 1988, an East Division Final loss to the Winnipeg Blue Bombers, many fans walked home disappointed in the teams’ fortune. However, there was also a sense of optimism for what was to come. And this is a key point. In 1989, SkyDome didn’t disappoint. Fans loved the facility. It was new, it was hip and it was the place to be. And why wouldn’t it be? The seats were comfortable, the jumbotron was huge and for crying out loud the roof opened and closed. The Argos’ new home had all the new amenities a modern sports facility had to offer, and then some. Though the Argos did struggle in their inaugural season under the roof, fans were introduced to a rookie running back named Michael Clemons, who would carry the flag of the good ship Argonaut for 12 years. In 1990, we watched Pinball win the Most Outstanding Player Award and set the single-season record for all-purpose yards with 3,300. It would be a record that would last for seven years until he himself set the new benchmark, in 1997, with 3,840. That record would stand until another Argo, current slotback Chad Owens, broke the record in 2012, totalling 3,863 all-purpose yards. 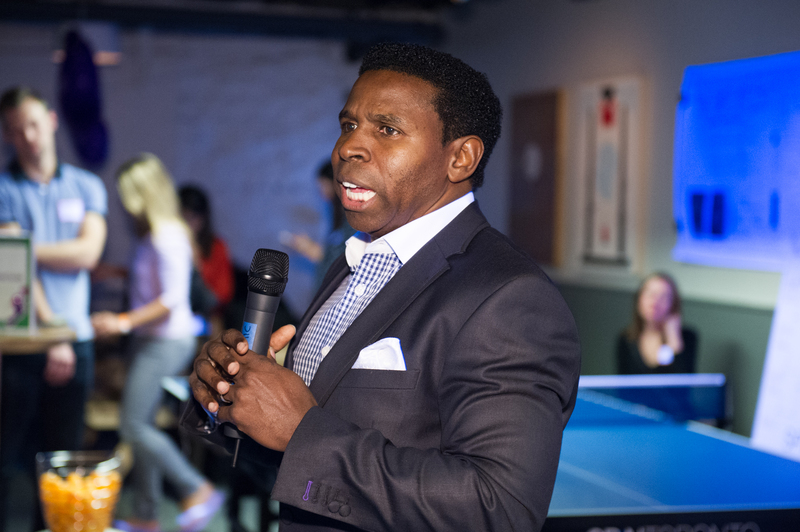 To this day, “Pinball” serves as not only a valued member of the Toronto Argonauts community, but perhaps as one of the most beloved and respect athletes to ever play in Toronto. Beyond being a home solely for the Argonauts, SkyDome served as a fantastic host in 1989 for the 77th Grey Cup between Saskatchewan and Hamilton. A game many, to this day, call the most entertaining game they have ever watched. A 43-40 win by the Riders on Dave Ridgways winning field goal with only nine seconds remaining. Sorry Ticat fans, but yes, one man’s pain is another man’s pleasure. Years later, Rogers Centre would host the 2007 Grey Cup between the Winnipeg Blue Bombers and the Saskatchewan Roughriders. This would be Rider Nation’s first Grey Cup win since their victory in 1989, and more significantly, also mark the first time two teams pitted against each other in any Labour Day match played in a Grey Cup game. Of course, as an Argo fan, great football moments at the Rogers Centre that don’t include our local football team, even if some include tragic heartbreaking losses by the Hamilton Tiger-Cats, are bitter-sweet, to say the least. 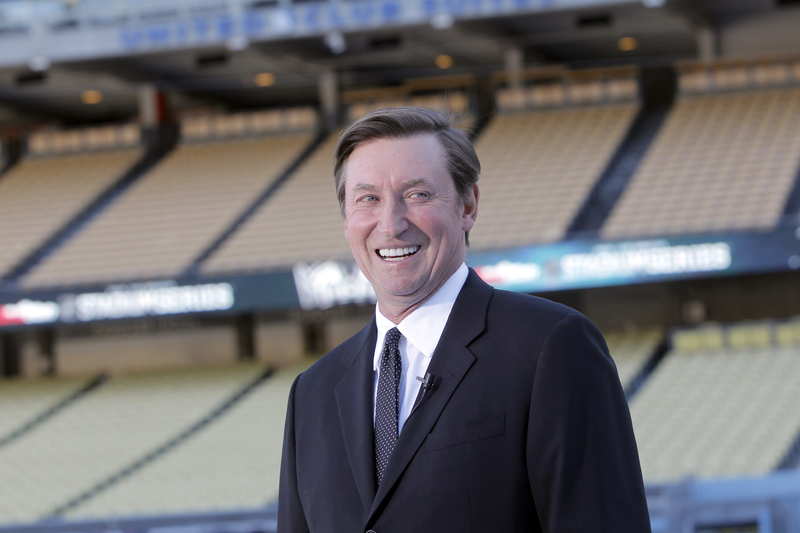 Of course, who can forget 1991 and the introduction to the Rogers Centre for Raghib Ismail, nicknamed “The Rocket”, along with a new ownership group that included “The Great One”, Wayne Gretzky, and No. 1 Argo Fan and comedic icon, John Candy. That year, we saw a post-game Blues Brothers Concert, an undefeated home schedule and a 42 -3 East Final victory over Winnipeg. The Toronto Argonauts would carry that momentum over to Winnipeg where they would record a 36-21 win over Calgary in the 79th Grey Cup. 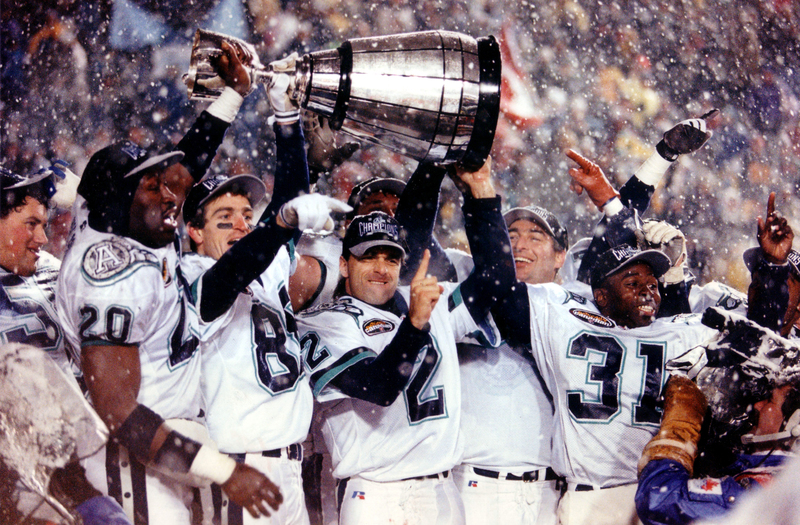 Back-to-back East Final wins against the Montreal Alouettes serve as two big highlights as in both years the Argonauts would go on and win consecutive Grey Cups with victories over Edmonton in 1996 and Saskatchewan in 1997. Those seasons saw CFL Hall of Fame quarterback Doug Flutie call Rogers Centre home. Argo fans were greeted with the pleasure of seeing the former Heisman Trophy winner throw for over 5,000 yards in consecutive seasons and retire from the CFL as a member of the Double Blue. With the 2015 Grey Cup to be played in Winnipeg, Argo fans will always have 2012. The 100th Grey Cup victory won by our local heroes over the Calgary Stampeders in front of 53,208 screaming football fans marked one of the greatest moments of Argo football, not just at the Rogers Centre, but in its franchise history. It was the most watched Grey Cup game in history. The Double Blue had captured the sporting landscape of Toronto and demonstrated to all of Canada its deep rooted love and passion for CFL football. So, as the 2015 home opener nears, let’s not live in the future but remain in the present and hold onto the past. Yes, a new committed ownership group and “friendly” CFL home awaits. But, eight exciting home games are waiting, too. Perhaps even an Eastern Division Final against the hated Tabbies as well. Can you imagine a more appropriate ending for this team’s tenure at Rogers Centre? Truth be told, neither can I. So let’s just sit back and enjoy the ride with the hope that many more memorable moments in the team’s current home are still to come.